With projected growth of cruise passengers world wide at 7% to 18.4 million this year alone, the cruise market represents eye opening potential in a rough economic environment. Growth is a thing a beauty for any business, but especially welcome to small business entrepreneurs who provide lucky cruisers with insight and expertise, the travel agents. Cruise agents can provide niche services to specialized cruise segments, or offer travelers the ability to book into a broad range of cruises. The graph illustrates the size of each cruise segment by passenger capacity. 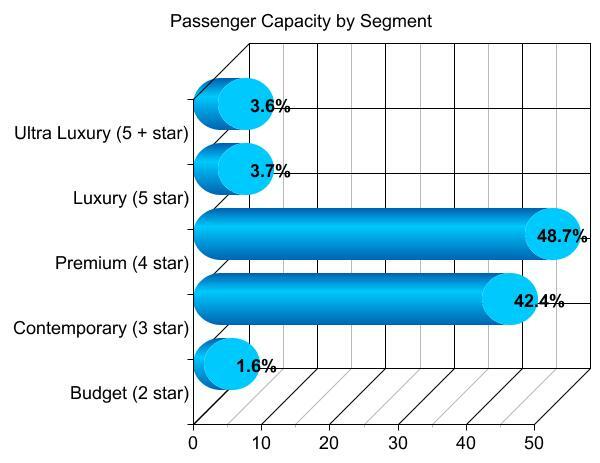 With over $13.7 billion in gross ticket revenue in North America, about $3 billion (22.5%)* is made by travelers purchasing directly to the cruise lines. From the remaining revenue, nearly $1.5 billion is earned by travel agents as commissions. This is expected to grow 6.5% by the year 2013 to $1.6 billion. Of the non-direct bookings, about 8.5% of cruise sales are currently booked and paid for entirely online. 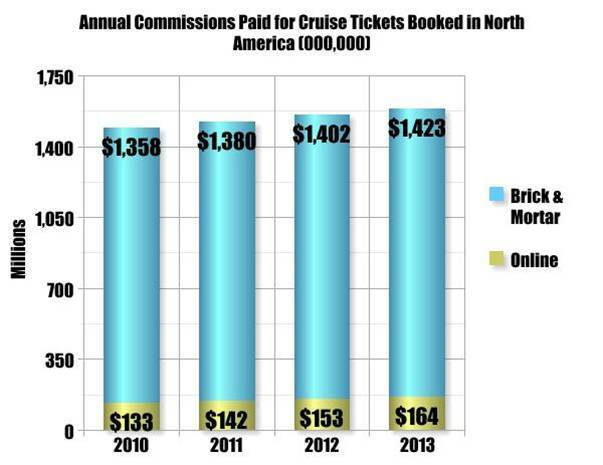 * As acceptance of cruise booking online picks up momentum, commissions earned online are estimated to grow 23% to $164 million. Similar sentiments were reflected in recent a Cruise Pulse survey About one third of agents (31%) believe direct to cruise line bookings have increased a little, up 10 percentage points from the previous survey. Likewise, agents felt online bookings compared to in-store are increasing, with 16% saying they have increased a lot. This was also up more than 10 percentage points from the previous survey.